Big data  that is, data sets too large to be dealt with via conventional means  used to be the domain of a very select few; theoretical physicists modeling complex systems, biologists sequencing the human genome, and companies like Google who are attempting to make the entirety of human knowledge easily searchable. These days, however, in spite of the fact that modern processing power makes it possible to effectively deal with datasets that are measured in exabytes (1,000,000,000 gigabytes), it is becoming more common, in more and more fields of endeavor, to run headlong into the limitations imposed by sets of data too large for traditional techniques. When we think of serious number crunching needs, we tend to think of the scientists who are pushing the boundaries of their respective fields, but the kinds of simulation and modeling performed in most scientific laboratories have become relatively commonplace. These days the place we most often run into truly big data is in the business world, in particular with regards to sales and marketing, and it is in the business world that we see the most significant advances in how we deal with big data. The prime example of a business that has become very successful based on their ability to collect, manipulate, and effectively analyze enormous amounts of data is, of course, Amazon. The sheer volume of information that Amazon is able to collect and use from each and every customer is staggering. Almost as impressive is that they are able to collect almost as much information about their potential customers that, for one reason or another, never end up clicking on buy  the online equivalent of window shoppers. Amazon may have blazed the trail with their gathering of previously unheard of amounts of customer information, but they are hardly the first business to understand the importance of information. Information has always been the fundamental currency that drives enterprise, and the abundance of information available to us in no way lessens that importance  it merely presents new challenges. Historically, information-based challenges in the business world tended towards issues of speed and security of transmission. In 15th-century Italy, the business that could get accurate information about foreign markets back to the "home office" before their competitors had a significant advantage. This state of affairs remained relatively unchanged for the next 500 years, until the Internet made it possible to know, more or less instantly, exactly what was happening anywhere else in the world, and exactly which of your customers were buying what, and when. In this Internet-based, big data world, the challenge is still to get good information before your competitors do, but the difficulty is not in the transmission of that information. The difficulty is in sorting through all of the available information in a way that allows you to reach an actionable conclusion, and does so in a timely fashion. In 15th-century Italy, timely was measured in months. In the modern business environment, timely is more often measured in minutes, or even seconds. In order to meet the challenges of scale presented by the types of big data sets that most modern businesses can generate, we need to make use of a number of special, often purpose built technologies. The amount of data stored, and the rate at which new data is added, can make the idea of storing all of a business information in one central location unworkable. This has led to the development of robust, reliable, distributed data storage and communications infrastructure. The unique analysis demands imposed by big data sets have likewise resulted in the development of increasingly sophisticated data analysis tools, specifically designed to deal with big data. 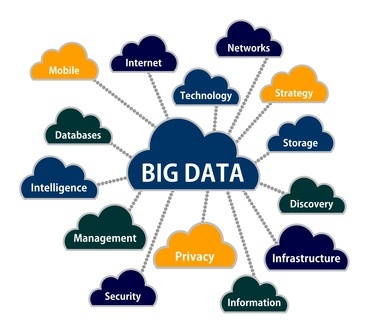 The modern, big data business world is not just about challenges and difficulties, though. It is even more about opportunities. With the array of big data tools at our disposal, we now have unprecedented opportunities for problem-solving, and troubleshooting, as well as for optimizing the way we do business and maximizing our profits. It is now possible to identify weak aspects of our marketing, or flaws in our sales processes, and fix them before the vast majority of our customers even realize that something was wrong. We are also less likely to make those sorts of missteps in the first place. Our access to big data information means we are more likely to make informed decisions, and an informed decision is a good decision. Todays access to ever-growing amounts of customer and market information can seem a bit daunting at first. It is important, however, to look past the challenges of the moment and see the opportunities that lie beyond, because with the right tools to meet big data challenges we become empowered to make the most of the information available to us.